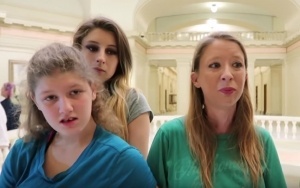 Advocacy for effective medical treatment of her epileptic daughter has led to the medical kidnapping of an Oklahoma homeschool mom's 5 children. When ordinary medical treatments failed to help her child, Tammy Searcy learned that cannabis oil might be able to help her daughter's life-threatening seizures. She was not willing to break any laws, so she worked to change laws in her state. Only after medical cannabis use became legal did she begin treatment for 14 year old Brianna, and the results were almost miraculous. Now, all 5 of Tammy's children have been seized by Child Protective Services, and many believe that this was retaliation for her activism. Her children have been separated and Tammy fears for their safety. Brianna's health has declined sharply, and social workers want to force-vaccinate her children.